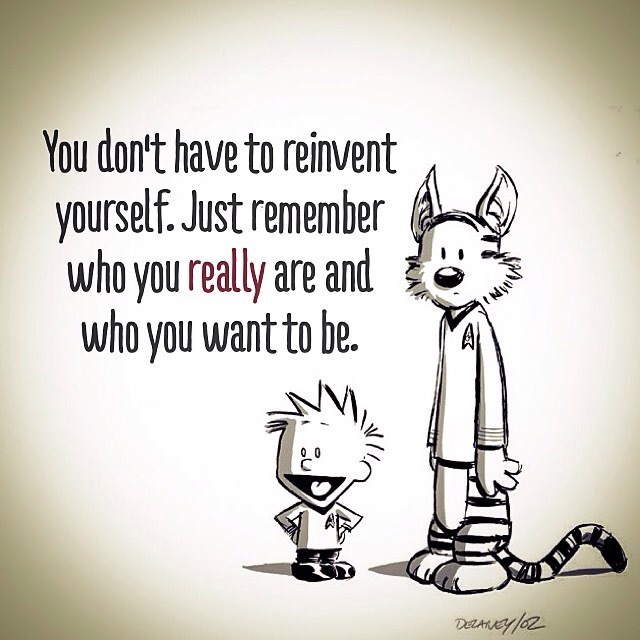 I loved Calvin & Hobbes when I was little. Somehow I landed on a C&H image the other day and it got me thinking about what I wanted when I was young. I wanted to be a famous author. I started writing a book about a boy wizard, and made new words and a new wizard language. But it became overwhelming and I thought, “This is too much for me, I’m not going to be able to keep track of the new words and what they all mean – I’d have to create a dictionary as well.” It seemed so overwhelming that I gave up. Now… Can you imagine where I’d be in life if I didn’t give up?? I snoozed, I lost.